After 33 months, the Project Reasonable Doubt research in the case of Monique B. has been completed. 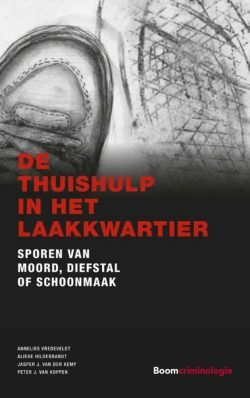 The findings have been published in a book (in Dutch) entitled The housekeeper in Laakkwartier: Traces of murder, theft or cleaning. Various Dutch news media reported on the new analysis of the case, including the national TV news NOS journaal and newspapers Algemeen Dagblad and de Telegraaf. TV news outlet Omroep West showed an interview about the case with Prof. Peter van Koppen and Dr. Annelies Vredeveldt.